DientWeb is an eCommerce website development company in Lagos Nigeria. Our eCommerce Web development services help businesses sell online conveniently. We believe that first impression counts, even for eCommerce websites. As a result, we are keen on making eCommerce websites that we design attractive. Even more, beyond the attractive look and feel of an eCommerce website, functionality is important. Certainly, Users expect to buy on eCommerce stores with ease. Hence, at DientWeb, we merge functionality with easy navigation. In the end, we achieve online stores that users find usable. Satisfaction for our eCommerce clients and their users is our goal. 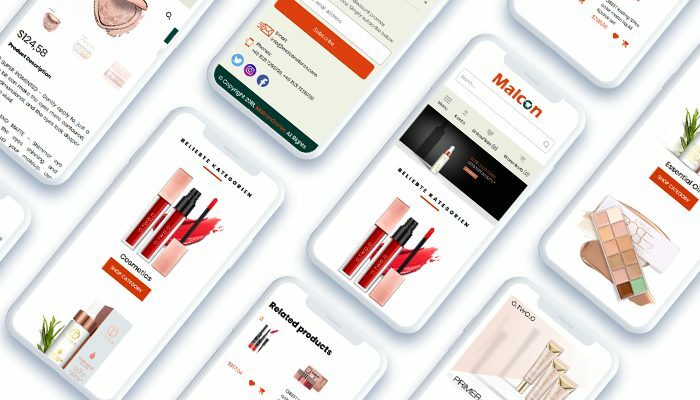 We explore the uniqueness of businesses while developing their eCommerce store. As a result, our eCommerce websites designs are unique to businesses. Mobile responsiveness of an eCommerce website is key. Hence, we plan mobile compatibility into our designs. Our eCommerce websites support online payments. Therefore, receiving money only is easy. Our eCommerce websites supports unlimited products. Thus, you can continually add more products from time to time. eCommerce websites built by DientWeb are powered by easy-to-use Content Management System (CMS). The CMS allows you to continually add more products to your eCommerce website. Also, you can add more product categories and update existing ones. Our process for eCommerce development allows you to communicate your ideas. So that, we can work together to achieve an eCommerce store that is best for you. eCommerce website development is like building a physical store. Hence, we ensure adequate security measures are put in place. Part of our eCommerce Web Development Services is SEO. Hence we submit your website for visibility on Google. Furthermore, we provide free consultation on marketing your eCommerce business. The success of your business is our goal. Hence, we ensure your website has all the essential features it needs. As a result, we have listed some of the features you can expect on your eCommerce website below. What your website could have is however not limited to this list. Therefore, you can contact us to request for more or state your preferred features. eCommerce Website Development Quote is free. Therefore, to get a one for your project, please visit our Request a Quote Page page. Once you fill the form on it, we will contact you with the details you provide. Please add as much information as possible while filling the form. We will make sure to get back to you soonest. Also, you can check our Corporate Website Development Page for details on our business website design services. We will look forward to hearing from you today. Thank you.